Suitable for those who only require the 14ft lorry. 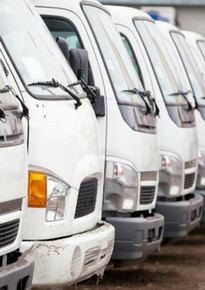 We provide long term and short term leasing contracts. Movers will be there to help you pack and wrap up all your furniture and transport them in our 14ft lorry. Quick deliveries for small items that can fit into a 14ft lorry. We can provide an extra helping hand if required. The 14ft lorry is considered the medium sized lorry of our fleet. It is not too big such that it is able to fit into most carparks, at the same time, it can also carry larger, heavier and more items than the typical 10ft lorry. If you are looking for a vehicle to do your office relocation or transport larger goods, the 14ft lorry may be the perfect fit for you. My company has been working with Rentalorry for a few years now. Their after-sales service and support is definitely better than most other companies that I have worked with. Tailgate – With the tailgate equipped, you will be able to load heavier items onto the lorry even without a forklift. With the push of a button, items like heavy furniture or machinery can be loaded onto the lorry quickly and efficiently. The tailgate comes in a variety of capacities so you need to have the right tailgate equipped if you plan to load heavier items. Cover – If you intend to have a cover at the back of the 14ft lorry, we can provide a box or canopy (full or half). This will keep your goods protected from the unpredictable weather in Singapore. Having a canopy on will also allow you to transport passengers. A full canopy lorry is typically able to ferry up to about 21 people. Refrigeration – More commonly used in the food and beverage industry, we provide lorries with refrigeration to keep food items at the appropriate temperature. Depending on the items that you will be transporting, we can customise the refrigeration system to best suit your needs. Rentalorry provides one of the best servicing and maintenance in the industry. We focus heavily in this area because we understand that is it important to keep the vehicles working well so that businesses can operate at maximum efficiency. In the event that a vehicle breaks down, we try our best to get it repaired as quickly as possible and also provide a replacement whenever possible. Whether you have question, want to make a booking or request for an online quotation, our customer service staff will be always there to assist you. Well-trained and experience, they will be able to answer any queries that you may have and at the same time make the best recommendations to suit your needs. If the 14ft lorry is not the right size that you require, you can also consider some of the other vehicles that we have. Check them out here!